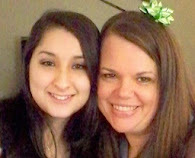 Heather ~ I am so thankful that you have survived the last four years. Joyful and happy and exuberant ~ if that's immature, then whatever. Immaturity comes with not accepting and being responsible for one's own actions, just like an adult child turning a blind eye to his father's misdeeds. I'm glad he un-friended you. I'm sure he can't be surprised that your friends would be happy for you, but that he would even comment in such a way . . . well, unfortunately, it sounds a lot like "like father, like son." Sweetie, as unshackled and free as you feel right now, I also know that you still hurt and still grive over what might have been. Love you and praying for you, girl. Sorry, the misspelling fairy just bit me . . . I have been an unfriending person as of late too....and ya know...it's okay! Don't take it personal....and even though he is HIS son....the apple doesn't fall far. 4. You are my accountability partner. 5. That I am alive in the hills. Heather, I know the freedom that you feel..
As I read your post, I thought of when I was still married to my abusive husband. Praying to God to please just let me have some peace in my life..Then came the divorce. I too would have done anything to make my marriage work. Yes, I finally have peace in my life. Although I didn't want to find it thru divorce. Then I thought of something that I had heard Dave Meyers say. "we have to learn to accept "how" God gives us what we ask for without question..It's taking time, but I know that God has a plan. Sorry that I have rambled on..lol. Heather...it's just such a shame you had to go through so much to get to this point in your life. I can only imagine the relief you feel. Stay strong, Stay focused.